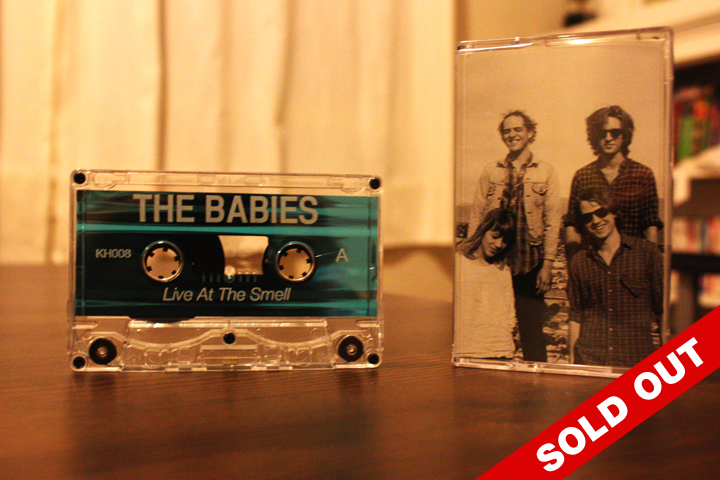 Live at the Smell is limited to 100 copies, dubbed by Kill/Hurt onto a shiny blue C40 cassette and features artwork by Cali DeWitt of Teenage Teardrops. "Now since I was at this show, and know how great it was, I won't go on and say how incredibly much I hate the Smell, which by the way, DOES smell, and say how fantastic this version of Breaking The Law is. Much more fast paced than on record, the Babies make this song into the most crazy, catchy singalong song that is as ramshackle as it is infectious." Browse the Release archive. This entry was posted in TAPES, THE BABIES.